Qualcomm's shares fell 3 percent on Monday after two brokerages said Apple might drop the chipmaker in favor of Intel as the supplier for modem chips in its next generation of iPhones. 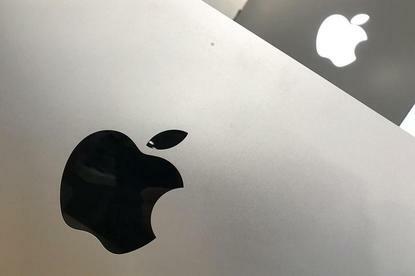 Qualcomm has been a supplier of components to Apple for years but the relationship turned sour last year when Apple accused Qualcomm of overcharging for chips and refusing to pay some $1 billion in promised rebates. In a detailed note citing extensive channel checks with chip suppliers, brokerage Nomura Instinet said it anticipated that Apple would drop Qualcomm in favour of a handful of other suppliers, as it seeks to reduce materials costs for iPhones. Nomura said it believed Apple would source all of its thin modems - half of which are currently supplied by Qualcomm - from Intel. Intel shares were up 1.4 percent at $46.81. The world's biggest PC chipmaker was a late entrant into the market for mobile chips, but has recently been pushing aggressively into the space. "There is speculation that Apple might drop Qualcomm altogether for its next generation phones and I think that's part of the reason the stock is down today," said Angelo Zino, an analyst at CFRA Research. Qualcomm issued a revenue forecast last week that missed estimates. It said the forecast already included the assumption that Apple could drop its chips for future products. Apple will save more than $100 million in the next iPhone cycle by moving to cheaper Intel modem chips, Nomura analyst Romit Shah said. Broadcom, which is trying to acquire Qualcomm, will likely lose some $400 million worth of sales of Apple parts in the second half of the year to Qorvo, Shah added. The reports came as Broadcom on Monday sweetened its bid to buy Qualcomm to more than $121 billion from an earlier $103 billion. Qualcomm was hit with a $1.23 billion fine by European Union antitrust regulators last month for paying Apple to use only its chips, blocking out rivals such as Intel. Intel began supplying modem chips to Apple from the iPhone 7 onwards. Reuters reported in October that Apple had designed iPhones and iPads that would drop chips supplied by Qualcomm. Analysts at KGI Securities said Intel's modem chips were less expensive than Qualcomm chips and also met Apple's standards, according to Apple news website 9to5Mac. Sector analysts have said in the past that Intel may not be as well prepared for 5G networking as Qualcomm, and that iPhones with Qualcomm chips have performed better than models running on Intel chips. KGI Securities did not rule out a return by Qualcomm to the supply chain, perhaps in the form of concessions in the patent lawsuit settlement. Apple and Intel declined to comment. Qualcomm did not immediately responded to a request for comment. Reporting by Supantha Mukherjee and Laharee Chatterjee in Bengaluru; Editing by Patrick Graham, Sai Sachin Ravikumar and Saumyadeb Chakrabarty.